Happy Tuesday everyone! Hope your week is off to a good start so far. 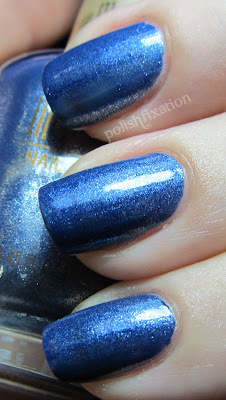 Today I have a gorgeous new Milani polish to share with you. 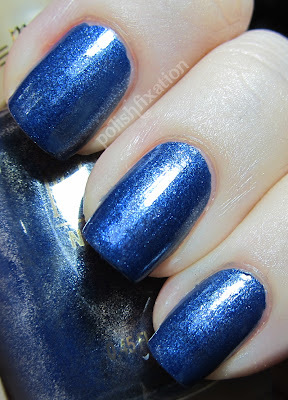 This one is called Sail Away and it's one of their newest shades. Just looking at the polish in the bottle I was in awe of how awesome this color was, so I was hoping it would look just as good on the nail too...and it SO did! This polish could easily be a 1-coater I think, but I usually apply two out of habit, so that's what I did for these pics. It's so gorgeous and shiny, I love the finish. The formula was really easy to work with too. This would also probably work as a stamping polish. I am very impressed with the colors Milani has come out with recently. I will try and swatch the other ones that I picked up soon! What do you think? Do you like Milani nail polish?